Congress is off to a brisk start when it comes to animal issues, but much of the action seeks to turn back the clock and to revive awful ideas. Rep. Steve King (R-Iowa) has again introduced legislation to overturn state laws that protect animals. 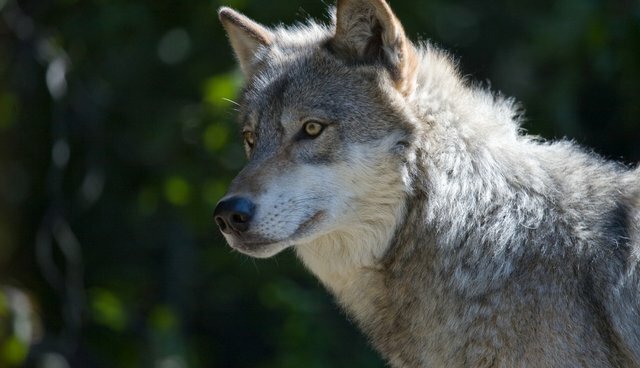 Late this week, two different groups of lawmakers – mainly Republicans from the Upper Great Lakes and Wyoming – have introduced legislation to remove federal protections for wolves. There's also a package of bad provisions bundled into a so-called "Sportsmen's Act." On the positive side of the ledger, after the terrible abuses that The New York Times brought to light at the U.S. Meat Animal Research Center in Nebraska, lawmakers are asking tough questions of the U.S. Department of Agriculture's failure to protect animals used in research and to demand reform. Public and Congressional pressure has been building for reforms to address the horrific abuses of animals documented at the U.S. Meat Animal Research Center. Even The Des Moines Register, the leading newspaper in the nation's leading animal agriculture state, editorialized this week about the need for new legislation to stop future abuses. The Register noted that the "USDA's response to these findings has been less than encouraging," pointing out that it "should develop new protocols, adjust those priorities and demonstrate a stronger commitment to animal welfare." The Register called on Congress to swiftly pass the Animal Welfare in Agricultural Research Endeavors (AWARE) Act, which we're supporting, to close the loophole that exempts animals used in agricultural research at federal facilities from Animal Welfare Act protections. The Act is sponsored by Representatives Earl Blumenauer (D-Ore.), Mike Fitzpatrick (R-Penn. ), Vern Buchanan (R-Fla.), and Louise Slaughter (D-N.Y.) in the House, and Senators Cory Booker (D-N.J.) and Richard Blumenthal (D-Conn.) in the Senate. Your legislators need to hear from you that you support this important bill. The Register also called on the USDA to delegate the inspection of its own facilities to other state or federal agencies, noting that "the USDA's own inspector general has audited the division [responsible for animal welfare inspections] four times since 1992, each time concluding that [the division] isn't doing its job." In the last few weeks, members of Congress have sent no fewer than six group letters – most recently of 43 representatives led by Rep. Steve Cohen (D-Tenn.) – urging Secretary of Agriculture Tom Vilsack to investigate this facility and the department's animal welfare oversight system. If you haven't already, please call Secretary Vilsack at 202-720-3631 or emailanimalwellbeing@ars.usda.gov to add your voice to these calls for reform . Almost as soon as we secured two federal court rulings restoring Endangered Species Act protections for wolves in the Great Lakes region and Wyoming, trophy hunters and their cheerleaders in the National Rifle Association (NRA) were calling on Congress to wipe out those critical protections. They're disingenuously cloaking their wolf-killing ambitions in rhetoric about public safety and livestock depredations. But wolves are among the least dangerous apex predators in the world – with no known attacks by a healthy wolf on a person ever recorded in the lower 48 states. And a recent peer-reviewed study from researchers at Washington State University showed that trophy hunting of wolves may cause more livestock depredations, not less, as it breaks up stable social hierarchies and increases breeding. The bills from Midwestern lawmakers would remove wolves from protections under the Endangered Species Act. This would not only be disastrous for wolves – putting wolf management decisions in the hands of the same state fish and wildlife agencies that have presided over mass wolf slaughters for the last few years – but also set a terrible precedent. If Congress delists wolves, it will open the floodgates to legislative delistings when special interest groups plead to politicians about supposed hardships. The Endangered Species Act provides that listing should be determined by science, not politics. We have a better proposal which would retain federal protections for wolves but would also give more flexibility to the states for management of the occasional problem wolf by downlisting almost all wolf populations from endangered to threatened. We are pushing lawmakers and the administration to adopt this compromise. And then there's the NRA giveaway bill, misleadingly titled the "Sportsmen's Act." I blogged on Monday about some of the dangerous provisions in this bill, which would open swaths of federal designated wilderness areas to trophy hunting and commercial trapping, give a sweetheart deal to wealthy trophy hunters who shot polar bears in Canada, and stop the Environmental Protection Agency from regulating toxic lead ammunition. Since then, we've only found more odious provisions tucked away in the bill. One would let hunters take their bows and crossbows onto protected National Park Service lands – a perfect cover story for poachers. Another would force the government to try to buy up rights-of-way over private lands for the exclusive benefit of hunters and trappers who want to reach remote, previously unspoiled parcels of public land. Have no doubt: this bill is not about "sportsmen" – it's about trophy hunters and trappers and their cheerleaders in the NRA. The NRA has crafted a wishlist of all the wildlife protection provisions that they would like repealed, and thrown them together in one bill. And some Senators seem to be taking the bait. That's why it's critical that your lawmakers hear from you about these bills. Please call your representative and senators and politely ask them to support the AWARE Act to protect animals in research, and to oppose the Sportsmen's Act and efforts to remove protections from wolves. Now, more than ever, legislators need to hear from compassionate people like you who want animals protected.